This book explores implications for applied linguistics of recent developments in technologies used in second language teaching and assessment. The book identifies significant areas of interplay between technology and applied linguistics. The 5,000 words of highest frequency were selected from 5,136,816 running words taken from the vocabularies of business correspondence; of personal letters from all parts of the country; of well-known writers; of letters printed in magazines; etc. This Practice Handbook reviews the fundamentals of writing and speech. About half its bulk is exercise material, oral and written, with tests and reviews. It attempts to be simple, definite, practical. The book provides eighty full-page exercises. This textbook is designed for beginning - intermediate English language learners. Each chapter covers specific speaking and listening learning objectives and includes dialogues, interviews, discussions and conversation activities, and audio files. The book analyzes and discusses an innovative constructivist blended learning approach to teaching English for Specific Purposes (ESP)/professional communication to EFL students at tertiary educational institutions outside English-speaking countries. This book is intended for those students who are appearing for the GCE 'O' Level English Language examination, or any other equivalent examination. If you work sincerely through the whole book, you cannot fail your GCE 'O' Level English paper. This book will tell all you need to know about British English spelling. It's a reference work intended for anyone interested in the English language, especially those who teach it, whatever the age or mother tongue of their students. This grammar is intended for students who have already received instruction in the rudiments. The Exercises are collected at the end of the text, so as not to break continuity. Certain topics of importance have been treated with unusual thoroughness. 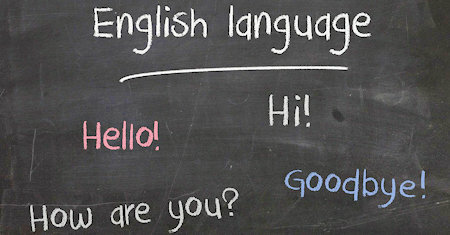 Read how you can finally learn to speak English quickly by curating your own free and hugely effective social learning and social media English course. Follow the process and you will improve as much as the learners in the real case studies. This innovative book is a must for all those students and professors of Economics and Business Studies with English as a Foreign Language (EFL) who need to write academic texts in English (essays, papers, Masters/Doctoral theses, articles, books). This book is a brief guide on how to communicate more effectively in English, no matter how much previous experience you have. Although it was developed with non-native speakers of English in mind, it should prove useful for native speakers, too. The author's aim has been to teach the art of using words in such a way as to make people think and act. To do this she has applied the principles of literary composition to the highly complex and ever increasing problems of our business life. A practical handbook of pertinent expressions, literary, commercial, conversational, and oratorical terms, for the embellishment of speech and literature, and the improvement of the vocabulary of those persons who read, write, and speak English. This is a book about the actual use of the English language. It features sections about types of grammar, punctuation and formality. This wikibook is intended for use by native speakers or advanced learners of English as a second language. This is the 1919 edition, which in its own province and on its own scale uses the materials and follows the methods by which the Oxford editors have revolutionized lexicography. The book is designed as a dictionary, and not as an encyclopedia. Mastering American English is a comprehensive exercise book for use with adult students at the intermediate and advanced levels of language learning. The student's attention is called to the grammar and structure of English through examples. An alphabetical list of words in common use, grouped with others of similar and opposite meaning. The aim in compiling this book has been to make the list of words in common use concise yet full, and authoritative yet suggestive. This is an interactive reader for ESL students and teachers, it is recommended for low intermediate level and up. The book tells the story of one foreigner who had to follow many twists and turns in his life journey before finding his niche in Japan. A 14-Lesson Introduction to Using Computers and the Internet for Students of English as a Second Language. The Lessons: Basic Computer Terms and the History of the Internet; Hardware and Internet Software; Computer Problems and Peripherals; etc.